This is a series of shorts (each episode is about 2 and half minutes long including end credits) released in 2015 but drawn and written in the style of robot anime of the early 1970's. The art style captures the style of those old anime remarkably well as does the writing (for better or worse). This is a parody series, however, so don't get your hopes up for a series like the exciting Gekigengar (wait, Gekigengar was a parody series too? Well, fooey!). In each episode, a giant monster shows up, Doamayger-D makes a suitable Kyoto-style confection (using his mixing arm and belly oven) and defeats the monster in a humongous explosion -- of flavor! A quick dose of plot and we're off to the next episode. The simple story is faithful to the idea of a confection-making giant robot but there really is no twist on the whole thing. But then, with only about 24 minutes to capture an epic robot series, I guess simple is good. There is a start, middle, and end with our hero Daijirou actually showing some growth throughout. 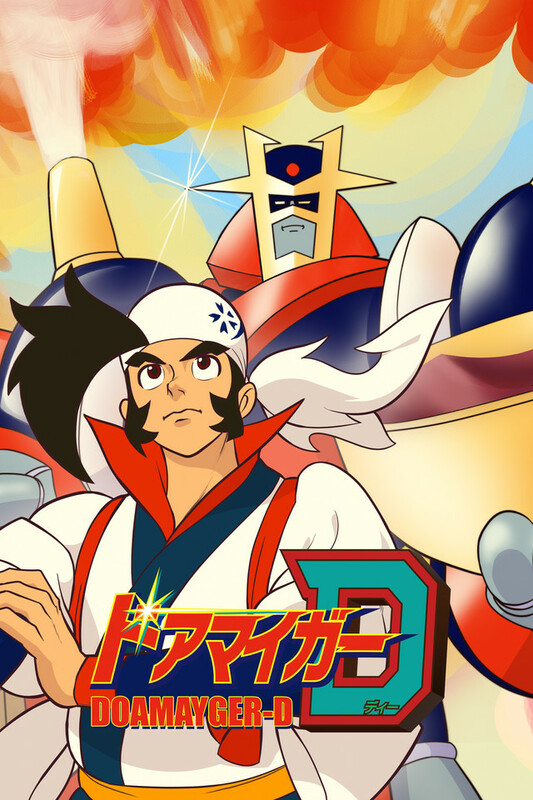 The art really captures the nostalgia of those old robot anime and the parody aspect is wonderfully weird but this isn't Godannar (another parody series but a really good giant robot story on its own! ).